Gov. 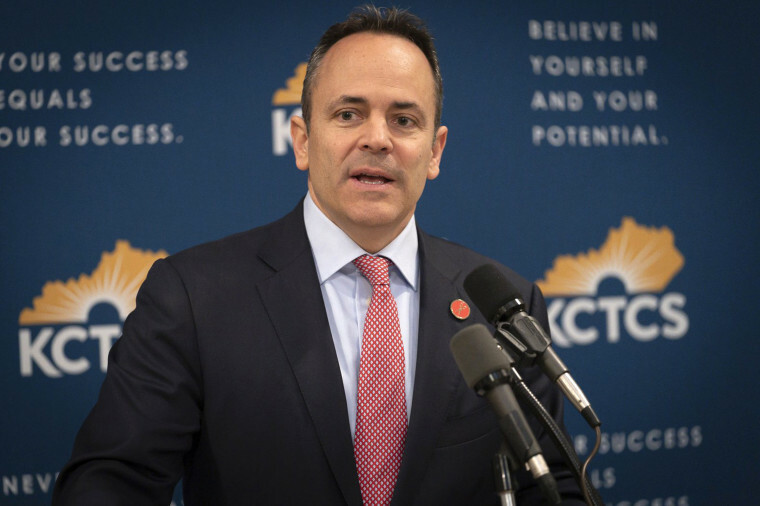 Matt Bevin believes parents who are worried about chickenpox should have their children vaccinated, but that it shouldn't be mandated by the government. Kentucky Gov. Matt Bevin says he deliberately exposed his children to chickenpox so they would catch the highly contagious disease and become immune. The Republican governor said parents worried about chickenpox should have their children vaccinated. But he said government shouldn't mandate the vaccination. Chickenpox is a highly contagious infection. It's spread by touching the skin blisters caused by the Varicella-zoster virus or by breathing in tiny droplets when an infected person talks or exhales. Before the vaccine became available in 1995, an estimated 8,000 up to 18,000 people were hospitalized each year with chickenpox and about 100 to 150 people died each year from the infection, according to the Centers for Disease Control and Prevention. Most healthy people recover completely from chickenpox but serious complications can include pneumonia, encephalitis or sepsis infection. A recent report in the Journal of Pediatrics described an 11-month-old who suffered a stroke after catching chickenpox from an older sibling. Being vaccinated against chickenpox can protect others with weakened immune systems or very young babies too young to be vaccinated from catching the infection. And being vaccinated against chickenpox can also protect someone from developing shingles, a painful flare-up of Varicella-zoster virus, later in life.